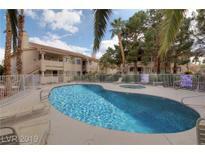 Below you can view all the condos for sale in the Rock Springs Vista subdivision located in Las Vegas Nevada. Listings in Rock Springs Vista are updated daily from data we receive from the Las Vegas multiple listing service. To learn more about any of these condos or to receive custom notifications when a new property is listed for sale in Rock Springs Vista, give us a call at 702-323-5926. New light fixtures, faucets, toilets, ceiling fans, mirrors, door handles. MLS#2089197. SWG Realty Group. Unit Has 1,136 Sq Ft*Located Just Minutes From Summerlin*Features Covered Porch/Patio Area Entrance To Unit, Mirrored Closet Doors In Both Bedrooms, Brkfst Area Off Kit And Exterior Storage Closet On 1st Flr Lvl*Original Owners*RENTAL RESTRICTIONS APPLY*Community Has Separate RV/BOAT Parking Area*Just Minutes From Major Shopping, Parks And All Major Highways* MLS#2088366. LIFE Realty District. Great Location Buffalo/Vegas * Close To Summerlin Pkwy And 95 * Tons Of Shops And Huge Park Nearby * Rental Restriction In This Part Of The Community - No Investors Please * Also Have Free Rv & Boat Parking In The Back Of The Community * First Floor Unit * Well Maintained And Clean! MLS#2087922. Real Estate By Design. Immaculate 2 Bedroom 2 Bath Condo* Second Owner With Pride Of Ownership* Open Floor Plan* Kitchen With Breakfast Bar & Bay Window Dining Area* New Counter Tops* Freshly Painted* New Flooring*nice Master Bedroom W/Large Closet Space* Covered Porch Area With New Outdoor Carpet* Dual-pane Windows With Screens* Separate Locked Storage Room Downstairs* Assigned Covered Parking Space* Guest Parking* Community Pool & Spa* MLS#2087820. EXIT Realty Number One. Wood-like flooring in common areas, granite counter-tops, completely renovated and highly upgraded bathrooms, two and three tone paint, stainless steel appliance kitchen and much more. Huge master closet. MLS#2086921. Modern Times Realty LLC. Tile Flooring Though Out* Shutters in all Rooms* Great Investment Opportunity. MLS#2085761. TR Realty. Incredible Location Close To The Strip, Shopping, Parks, & Restaurants. Enjoy! MLS#2085406. Urban Nest Realty. 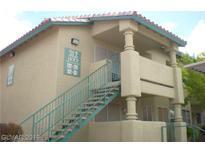 Well maintained unit/ complex in a Summerlin adjacent community. MLS#2085423. RE/MAX Advantage. Unit also has a patio, laundry area inside unit and includes an additional storage area on side of building. MLS#2083571. Urban Nest Realty. Master Bedroom Has Glass Mirrored Doors & Ceiling Fan.All Appliances Included.Near Summerlin,Dog Park And Sports Park With Quick Freeway Access.Kitchen Has Breakfast Bar.Nice Front Courtyard.2nd Room Is Oversized. MLS#2083589. Allure Realty Group LLC. Move-in Ready!brand New Carpet,Vinyl,Freshly Painted 2 Tone Interior,Professionally Cleaned Just Days Ago.Corner Fireplace In Living Room.Pleasant Cov Front Porch Entry.Super Location Right By Pool.Assigned Cov Parking,Guest Parking & Even Rv Parking @ No Extra Cost.Hoa Dues Incl Water & Trash.Sep Storage Room South Side Of Bldg.Tennis & Soccer Complex,Park & Dog Park At Washington & Cimarron.Buyer To Verify All Info&schools-k-5 Share Boundary. MLS#2082312. Nicklin Prop Mgmt & Inv Inc.
It’s a 2 bedroom, 2 bathroom and on the first floor. MLS#2082210. Elite Realty. Seller is providing a home warranty. MLS#2081262. ERA Brokers Consolidated. Zoned for Palo Verde High School! MLS#2080910. RE/MAX CENTRAL. Updated paint, carpet, stainless steel appliances, and quartz counter tops! MLS#2081111. Petra Realty Group. 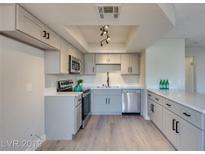 Close to Summerlin Pkwy/US-95, schools and shopping. Rental restrictions! Must See! MLS#2080927. Easy Street Realty Las Vegas. Community pool and common area maintenance is part of the HOA. MLS#2079196. Opendoor Brokerage LLC. Large community park near by, RV parking available. MLS#2079603. American Guardian Realty. Also included is a Storage closet on the side of the building. All appliances Shown Included. MLS#2078709. Love Local Real Estate. Personal storage room at the bottom of the stairs with lock. Fits a ton of items. MLS#2078321. Keller Williams Market Place. 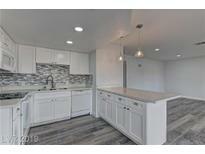 * New carpet, paint & blinds* Spacious living room with fireplace* Covered front porch* Easy access to shopping centers and Summerlin Parkway* Must see this unit! * MLS#2075701. Keller Williams Realty Southwe. Darling 2 Bdrm, 2 Full Ba, 2nd Flr Condo Nestled In The Trees*Granite Counter Tops, Mostly Stainless Steel Appliances, 4 Ceiling Light Fans, Updated Baths and Mirrored Closet Doors In Bdrms*Seller Had A Lennox 2 Ton Heat Pump installed 06.01.18 For $7,540 And A New Garbage Disposal Installed 02.28.19*Covered Porch/Patio Area*Breakfast Nook Off Kitchen*Community Has Separate RV Parking Area*Minutes From Summerlin, Major Shopping & Major Hwys* MLS#2075101. Realty ONE Group, Inc.
Move Right Into This Clean & Well Maintained 2 Bed/2 Ba Condo*all Appliances Incl In As-is Condition*newer Frig Oven/Range, Washer & Dryer*newer Carpet*big Bedrms, Both W/ Lots Of Closet Space, Ceiling Fans*master Has In-suite Bath*wood Burning Fireplace In Family Rm*separate Dining Area*metal Security Screen Door*large Balcony Overlooks Pool*storage*assigned Prkg Space*very Nice Maintained Community W/ Facilities*close To Everything! MLS#2073024. RE/MAX Excellence. Fully Remodeled And Upgraded With New Flooring, Paint, Counter Tops, Backsplash And Bathrooms. Easy Access To The Highway. MLS#2073432. Nationwide Realty LLC. Ground Level Located Poolside With Lots Of Upgrades Tile In Walk Way And All Wet Areas Flooring 2 Bedroom 2 Bath Upgraded Carpet. Your Client Wont Be Disappointed. MLS#2072875. Vegas Realty.